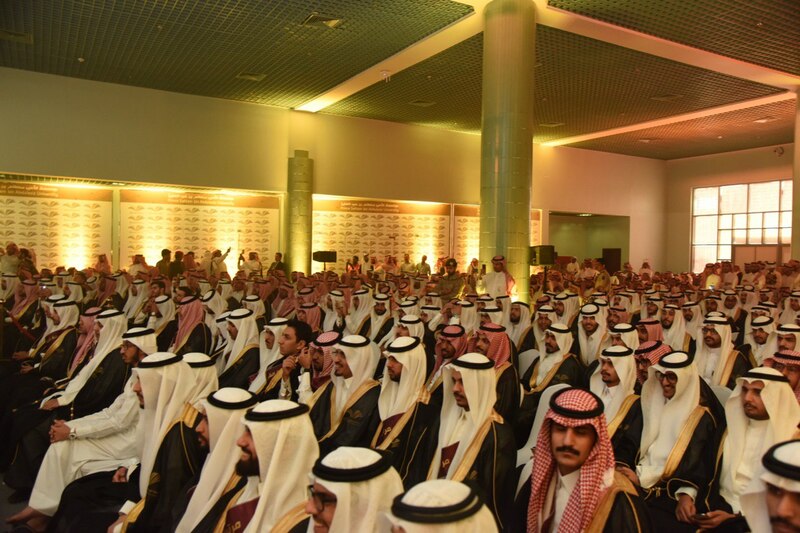 Prince Faisal bin Abdul Aziz Prince of Riyadh Region patronage on Thursday the graduation ceremony of the ninth batch of PSAU students. 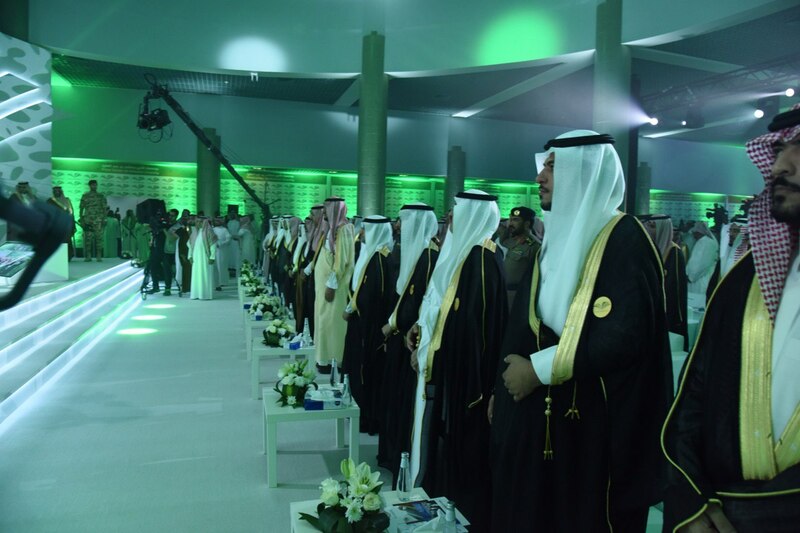 The ceremony was held at University City in Al Kharj. HRH was received by Prof. Abdul Aziz Al Hammed Rector of PSAU, Vice-Rectors and a number of Deans. 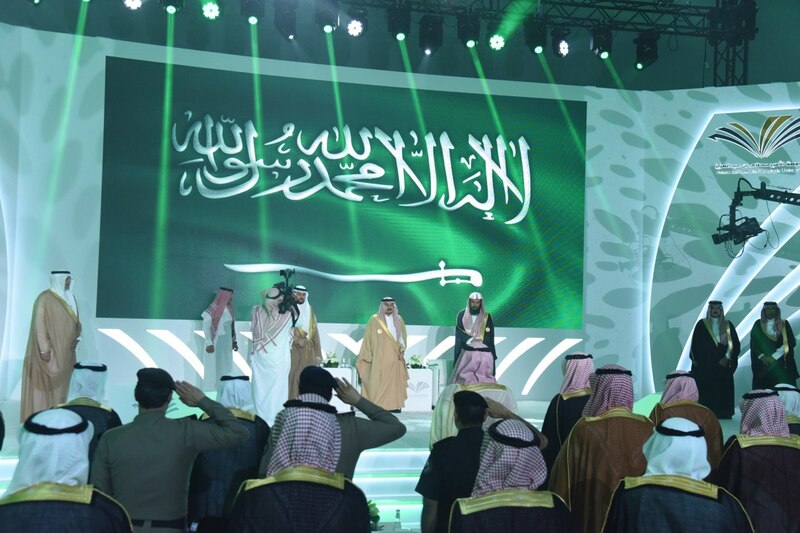 The ceremony began with the national anthem and then a march for graduates of 1200 students from various disciplines and degrees. Then, the recitation of verses from the Holy Quran. The audience watched a story of the struggle of one of the university’s students during his academic life. 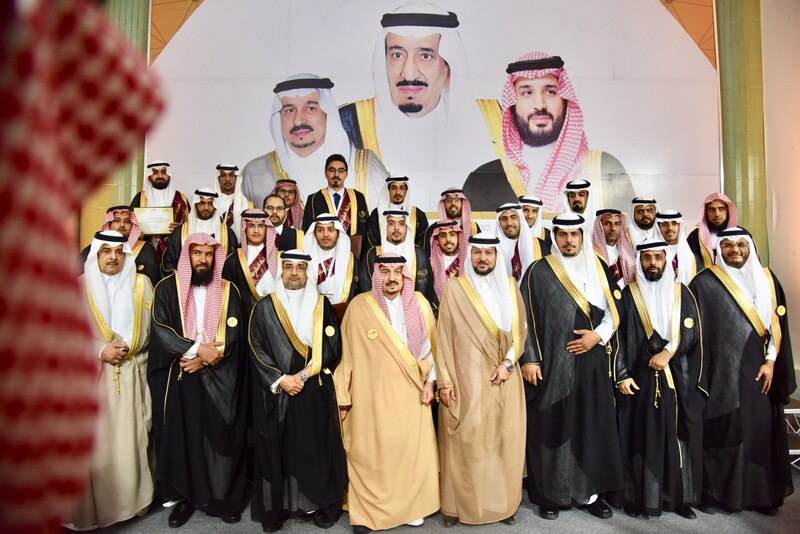 It explained the difficulties he was overcome by all hardness and diligence to come the expected day at the graduation ceremony with his fellow students. 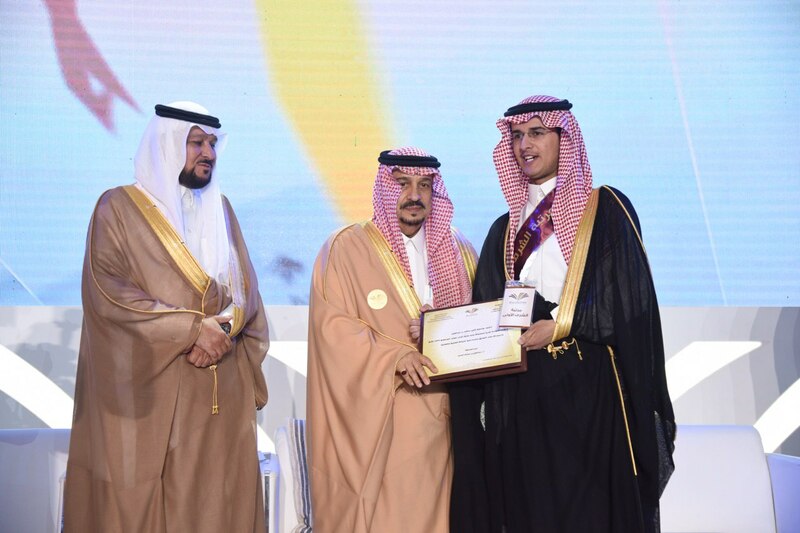 Then, student Ahmed bin Shehan al-Anzi from the Faculty of Medicine Graduates delivered a speech welcoming Prince of Riyadh, noting the students found at PSAU the opportunity to seek knowledge, and participate in the activities of students, and research competitions and volunteer work and community service that enabled students to achieve themselves and refined their skills. 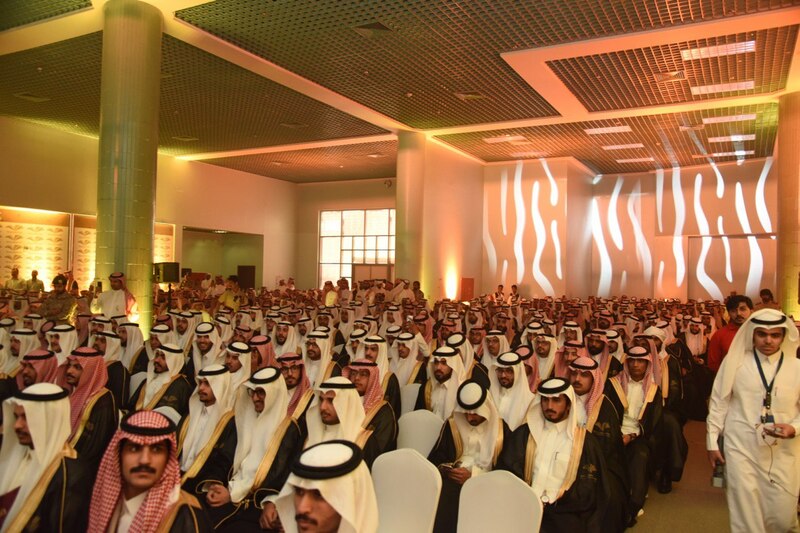 Then, the university's president, Dr. Abdulaziz Al-Hamid, delivered a speech in which he welcomed the Prince of Riyadh region for sponsoring the ceremony and the attendance of parents of students. 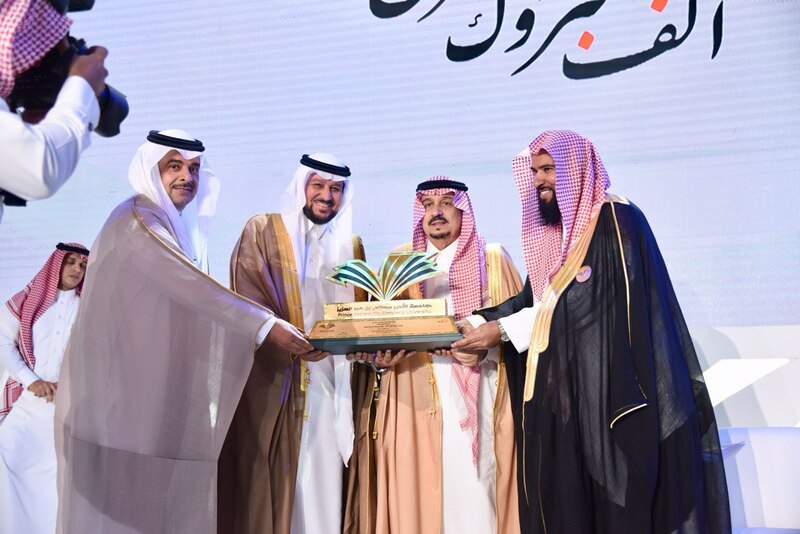 He said "Success and graduation is a cause for joy and happiness for the achievement and for those who contributed and participated in achieving it. We are grateful to the shareholders and thank the shareholders for achieving it. " He pointed out that in the coming month of Ramadan, the university will complete ten years of its life. During this period, the university injected more than 27,000 graduates and graduates of the university, 60% of them from the female sections. He explained that the University of Prince Sattam is a flexible university that adapts to the requirements of development and strategic directions. 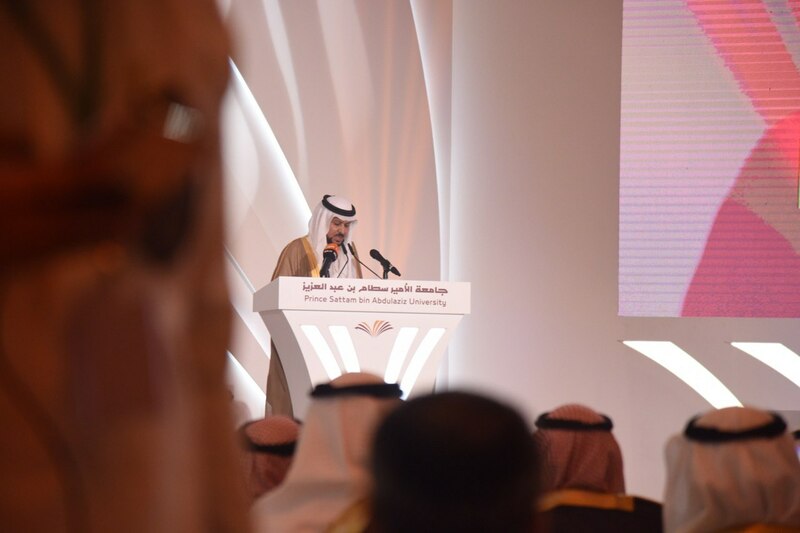 In this spirit, the university launched the second edition of the strategic plan with the new vision of "a distinguished university in education, competition in scientific research supporting the knowledge economy, The plan also sets out ten strategic goals consistent with the vision of the Kingdom of 2030 to contribute to the achievement of an ambitious homeland, a vibrant society, and a prosperous economy. On the level of partnership and social responsibility, the university launched a program aimed at women in breast cancer awareness and conducting advanced screening and testing for early detection of this disease through the university hospital as well as many community programs for people with special needs, the blind and others. 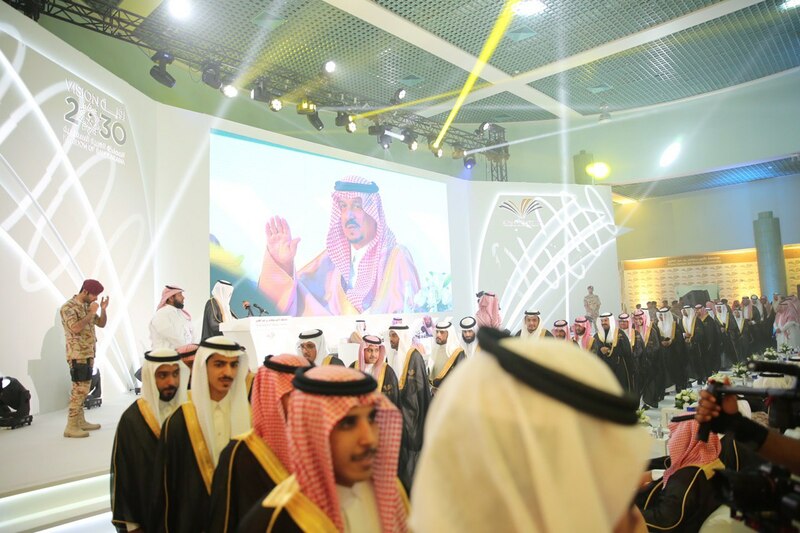 At the end of his speech, he paid tribute to His Royal Highness Prince Faisal bin Bandar bin Abdulaziz, Governor of Riyadh Region and patronized the ceremony, praising His Highness's keenness to support and support the university. He also thanked all those who worked on organizing this ceremony, congratulating the graduate students and their parents. The Custodian of the Two Holy Mosques King Salman Bin Abdul Aziz Al Saud and His Highness the Crown Prince should safeguard our country and safeguard our country's security and safety. 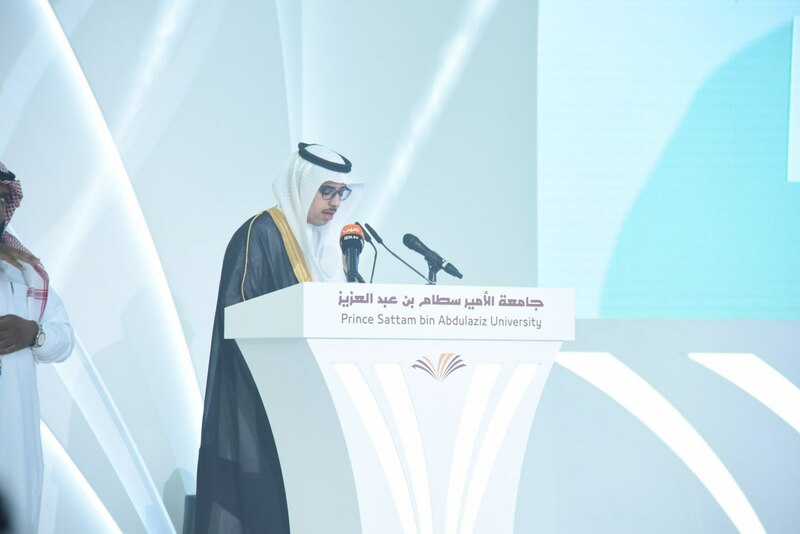 Then the Dean of Admission and Registration at the University, Dr. Abdulaziz Al-Saqr, announced the results of the graduates of the tenth installment of the first semester and expected to graduate in the second semester of the academic year 1439 AH / 1440H, and the number of 1651 students distributed to the faculties of the university in all its headquarters in the six governorates.